Victory is a light summer waterproof jacket in an aviator style with protective elements. 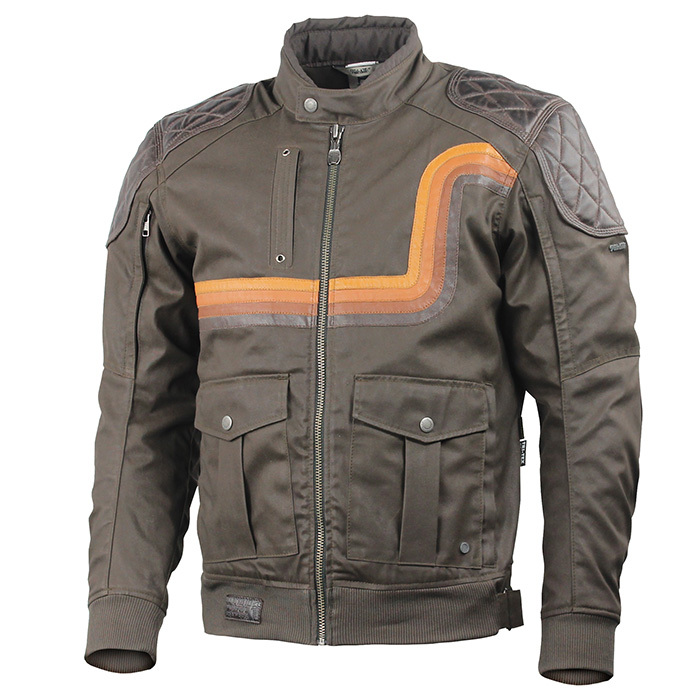 Wax Cotton body combined with hand waxed leather panels make this product a true fashion jacket. Victory is a light summer waterproof jacket in an aviator style with protective elements. 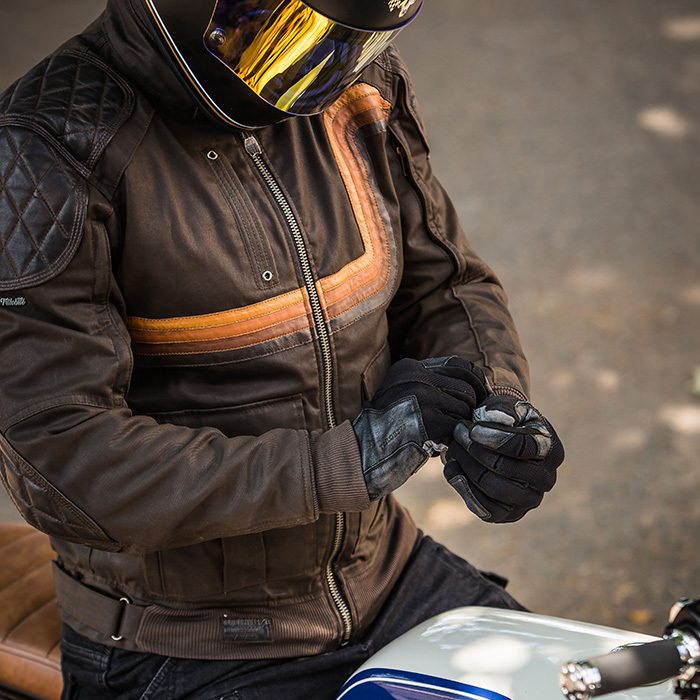 Wax Cotton body combined with hand waxed leather panels make this product a true fashion jacket. 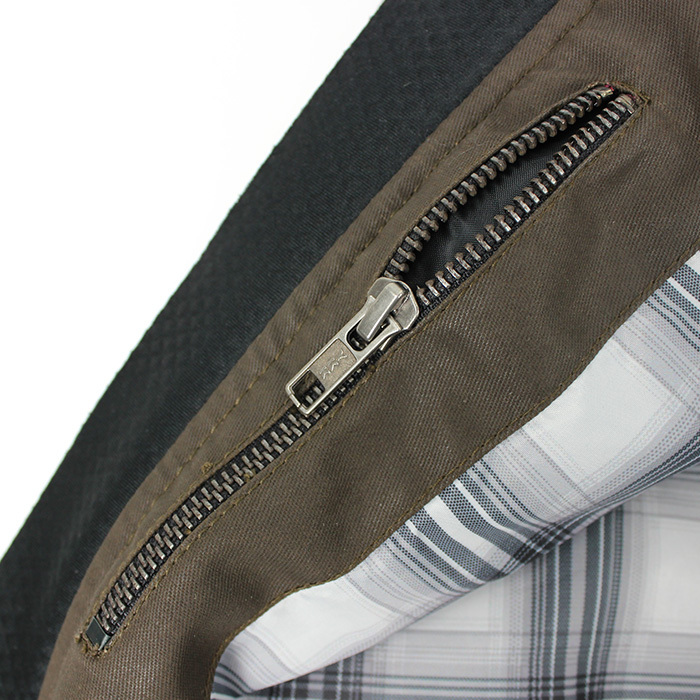 The leather parts on this jacket not only complement the overall design, but also perfom as a protective element. They are used in zones where there is a greater risk of friction when a rider falls off a motorcycle. In addition, these leather parts are lined with DuPont™ Kevlar® original aramid fibers, so that maximum protection against abrasion is ensured. The back panel is completely lined with aramid fibers too. 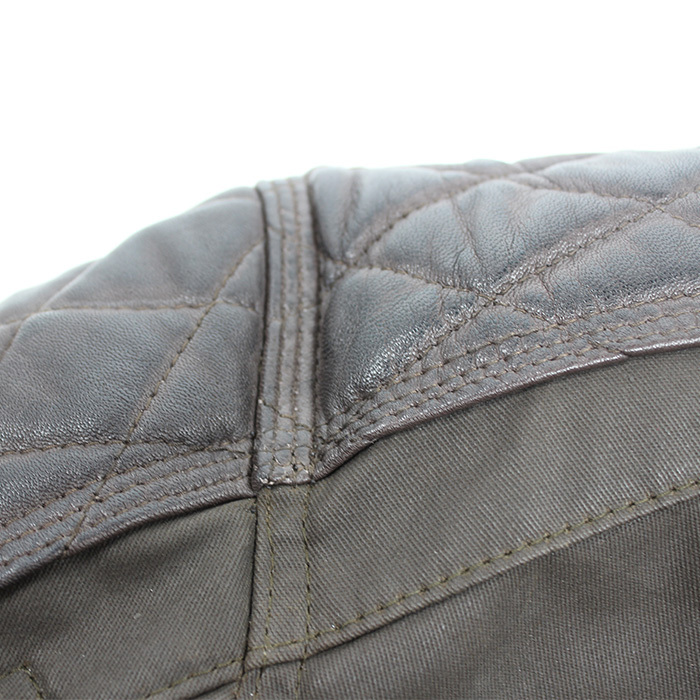 For optimal air circulation, ventilation pockets are located on the front side of the sleeves and ventilation outlets on the back side of the jacket. 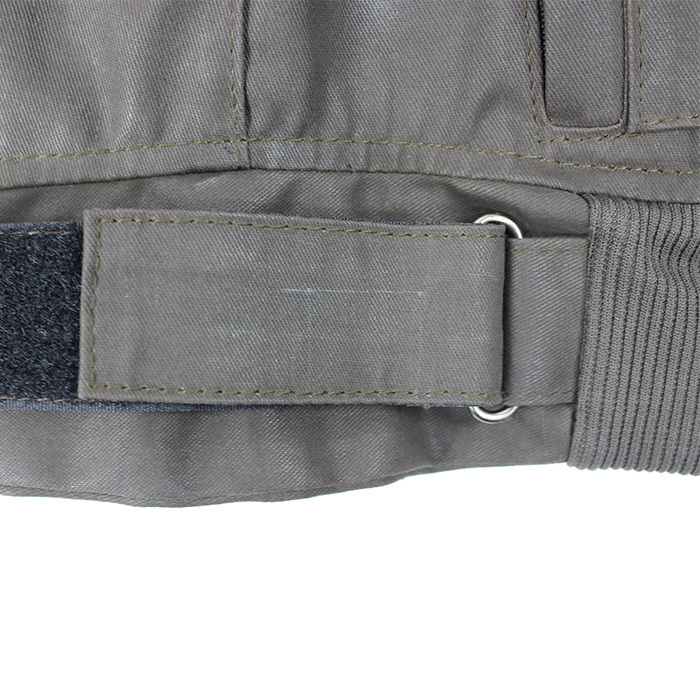 Riders can set the waist width by adjustable straps with Velcro. 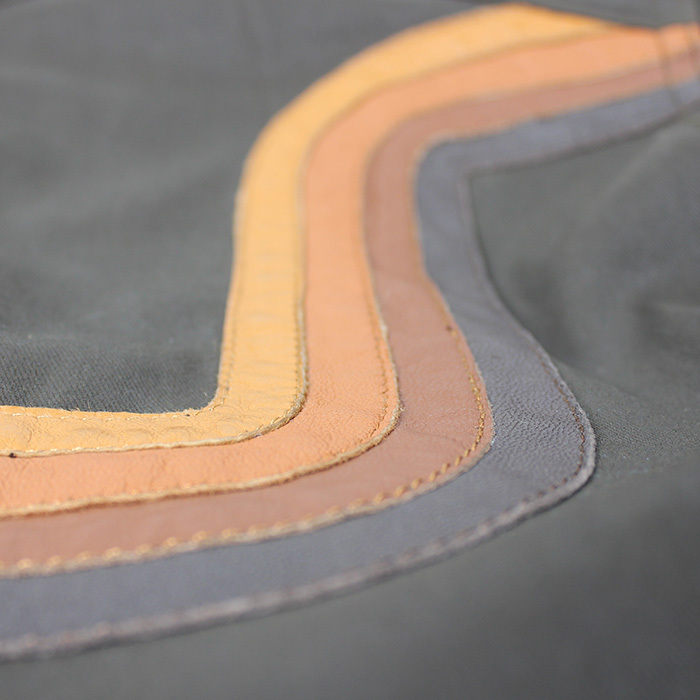 Victory jacket is waterproof thanks to 10 000/10 000 TRI-TEX® membrane layer inside. The jacket is hydrophobically treated to boost up its waterproof features. As a standard this jacket is delivered with Trilobite CE level 2 protectors in shoulders and elbows. Optionally, you can equip the jacket with Trilobite CE level 2 back protector which provides maximum absorption of impact energy. 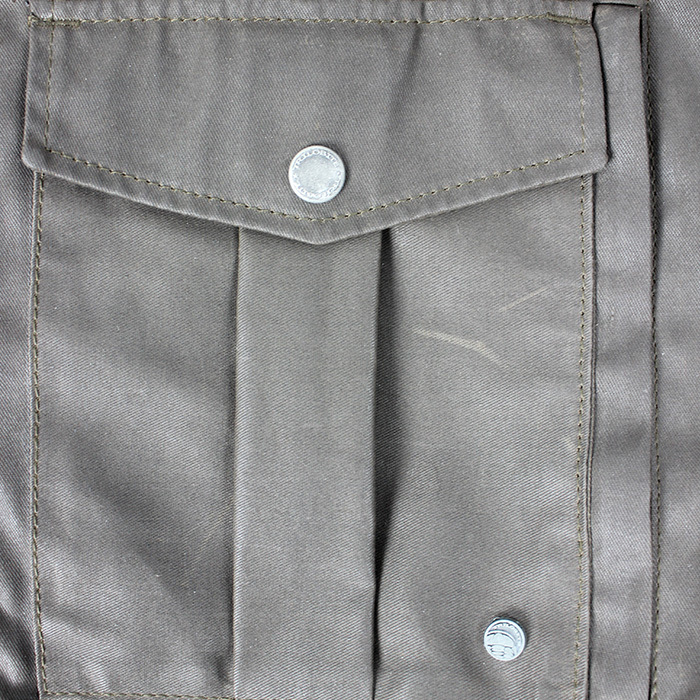 Two internal zip pockets and five outer pockets guarantee enough storage for all your personal stuff. 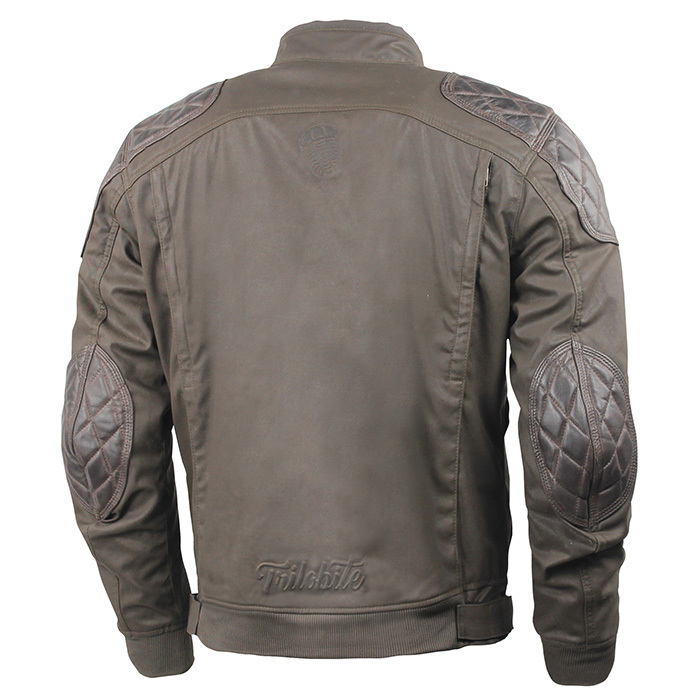 The most striking design element of this jacket is the leather striping on the front that is complemented with metal decors carrying Trilobite logos. 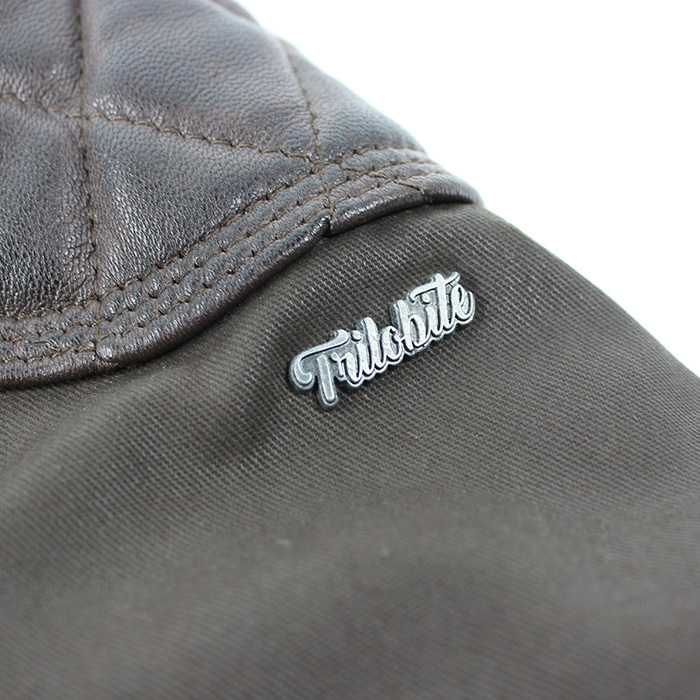 The back panel is unobtrusively decorated with Trilobite debossed logo to Wax Cotton. 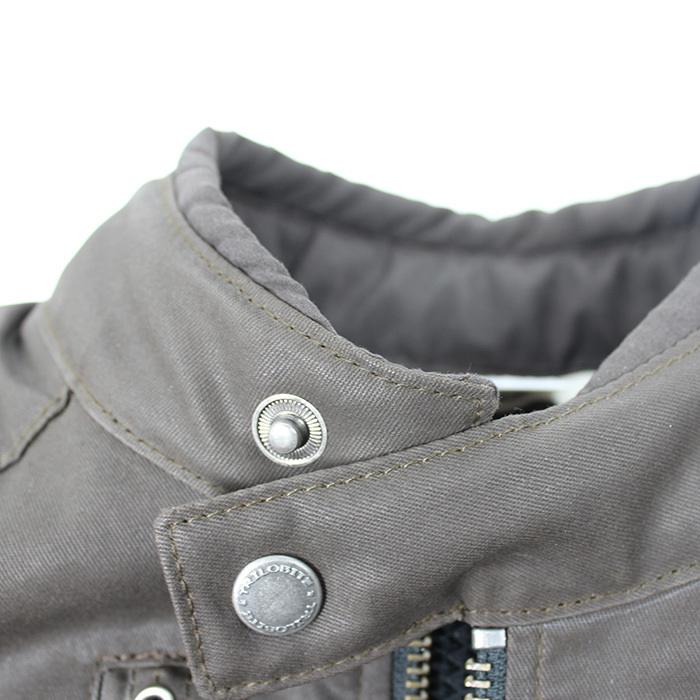 Ribbed cuffs in the waist and sleeves put this jacket in the so-called Aviation style. 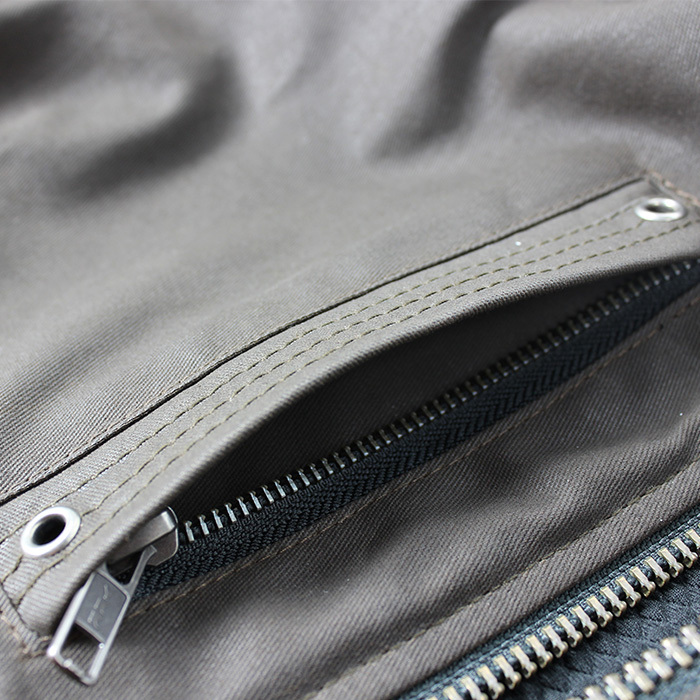 Under the main zipper, there is a design neoprene flap. All zippers are original YKK durable zippers. On the main zipper you will find a new fancy YKK Trilobite zipper puller. The lining inside this jacket is made from recycled Polyester material which is produced from plastic bottles collected from the sea. This way Trilobite helps to make our planet cleaner. 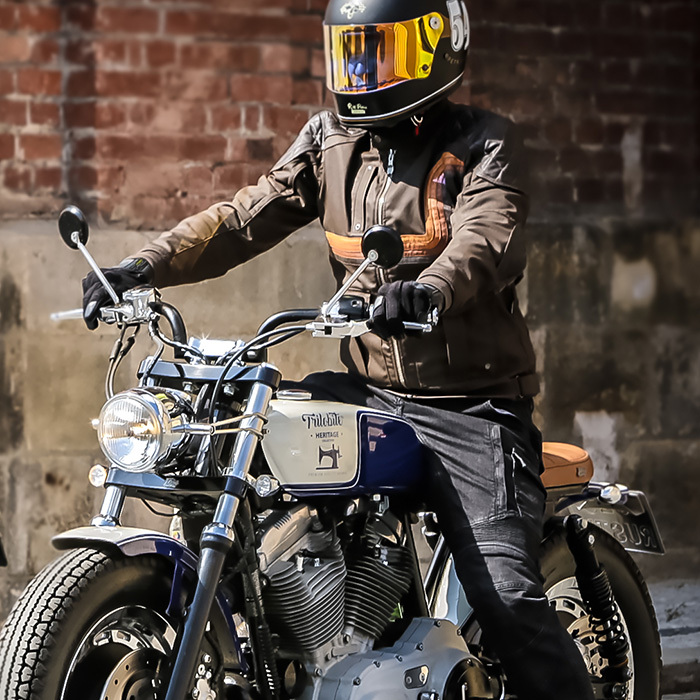 Custom bikes, café racers, vintage on road style, men EU sizes (S - 4XL) Perfectly matches with Trilobite® Ton-Up jeans and Acid Scrambler jeans.